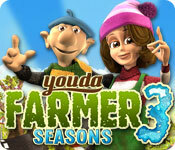 Youda Farmer 3: Seasons is rated 3.5 out of 5 by 15. Rated 5 out of 5 by haiqal01 from Not a farmer but just a delivery guy... This game is created by Youda Games back in 2011 and the 3rd installment. yet another good time management game that are no sequel right now but it is a good TM game that keep you entertaining for hours and maybe days.The game started with creating name and pick you gender and you truck's color. The story is about a village and town is in ruin by a storm in the midnight and you have to restore it as farmer is playing a big role in that village.Hmm like "Save the Village".That fat mayor is lazy because he only depend on you and have a top notch voice. 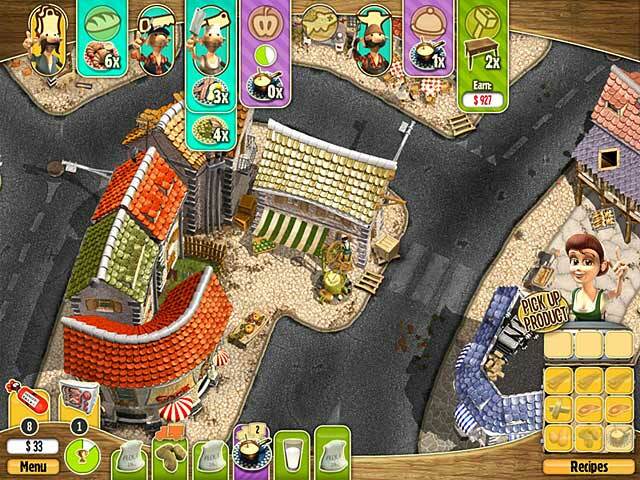 The gameplay was the same with other youda farmer series , pick up goods or source and give it to the people that order.There some kind of order list mechanics on above the screen and on the below showing the good is ready to be pick up. To travel and pick items you have to click on above below button and to give it , just click above. It gets more confusing if get to higher level as there are more item need to be combine ! Like a wood + iron = hammer, you can combine them when you restore shop or bakery.You have to pick up an item as soon as possible be cause it will faded and if list of unnecessary ready to pick item is full , you can delete them.There several power ups to help you and can purchase it before start the level. There 76 levels in the game with different seasons and there are some farm problem base on season that will make the game more challenging like fire , worms , rain and more.There are also an Event Day like party. The visual in this game beautiful but blurry in some spot. The 3D animation is well done and I like the building in this game it reminds me of kids tv show , especially clay animation. The music is ok and sound effect. 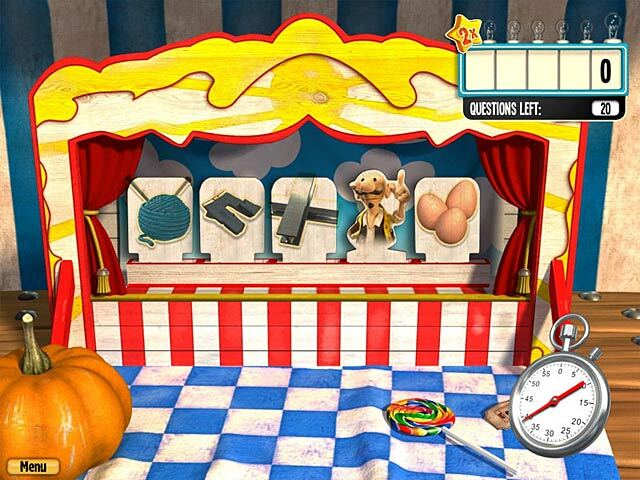 There are several extras in the game like collectibles eggs , Trophies and lot of achievements to earn. I know everyone will not play this game anymore because it was outdated and same gameplay, but the game keep me entertained and quite addicting. I recommend this to all type of player . Rated 5 out of 5 by DG_lOneLY from Nice and Good Farming Game It was a very good and so fun farming games and I think it is the best series of the of the Youda Farmer game Although some levels of it was very challenging I really like it. Rated 5 out of 5 by Jayme2602 from Great Game I love this game, each youda farmer game gets better and better. Great challenges, more difficult than the second. More minor games between levels. Favourite game at the moment. Rated 5 out of 5 by Parkerdoll from Good Time Management This is the best of the three Youda Farmers. It is a typical time management with fun twists. You can see many upgrades from the first one - I have all three and since I like time management appreciated the efforts to smooth out the first two. Enjoyed - bought it! Rated 4 out of 5 by Pearly11 from Great Buy as a Daily Deal Downloaded the trial, played for about five minutes and bought it! I've got one the other two Youda Farmer games and to be honest, the first one I only completed on my very old PC because on that one the game runs in slow motion. These games are seriously fast and require quick eyes, quick decisions and even quicker mouse movements. So I really can appreciate that these TM games aren't for everybody's taste as the game play can be quite stressful but that's exactly what I love about them. Unlike one reviewer I didn't find the graphics primitive at all, as they were clearly created without using hammer and chisel :-). The only scene I came across was a winter scene and snow is notoriously difficult to do (painting or drawing) but whoever did it did a great job imho. Can't say much more, as I only played for a very short while, but for D/D price really good value for money. Rated 3 out of 5 by pchip from All or nothing While this isn't this best farm/TM game I have played, it was enjoyable. I always enjoy when you have to combine items to create products. My biggest problem as a trophy junkie is that you only get ONE TRY! Once you complete all the levels you cannot go back to work on achievements. I pity the person that is perfect until the last level and misses by 1 second, not enough replay value for that. Rated 3 out of 5 by pinkspott0 from Another great addition to Youda. Youda Farmer is great, I loved the first two, it was fun. I enjoyed the different aspects of the lessons from summer to winter. Different stock and different buildings; I liked it. Rated 3 out of 5 by alsteele28 from Where's my delivery! This as is usual with TM 'next in the series' games, in that it follows what was before and adds additions to the game. The game in set-up and design is pretty much similar to 'save the village', the game-play again is pretty much the same, though in this game you have the addition to purchase 'perks' in order to help you 'down on the farm'. The game is again a 'delivery type game' rather than a traditional TM building game. The are a few improvements in that if you are wanting to combine to make a recipe and you have multiples of the correct ingredients then it will allow you to make multiples. Other improvements, were the graphics seemed to be a bit better, the voice overs were slightly improved (though on occasions could be a tad tiresome), and the music was suited to the game. In the hour trial I completed a year, mostly with 'gold' first time round, so whether it because it was the first year and it was like a 'trainer' year or whether I am superbly brilliant at this type of game (highly unlikely), or the game is 'pegged' for a younger audience I don't know, but towards the end of the year (autumn/fall), it was getting a bit tougher (unfortunately though my hour ran out :)), Given that I now understand the game-play and that I have realised it is not a farming game in the populas sense, i would still recommend if you like to play a farmer version of the 'UPS' guy/guyess :) Give it a spin, I would recommend the game. 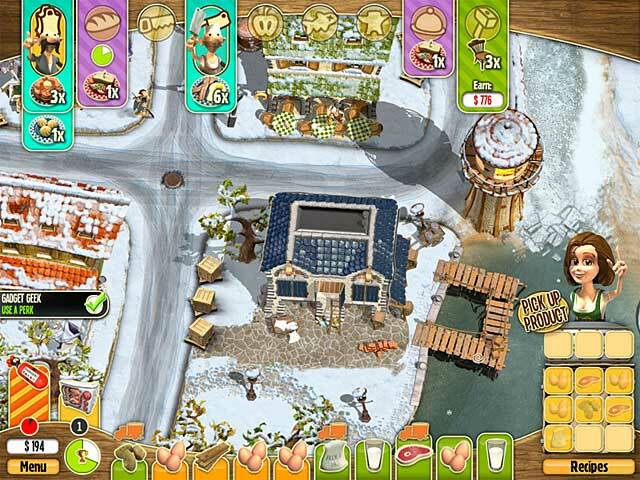 After disaster strikes during a stormy night, you once again face the difficult task of rebuilding your village and farm!